We understand the industry and can talk your language. 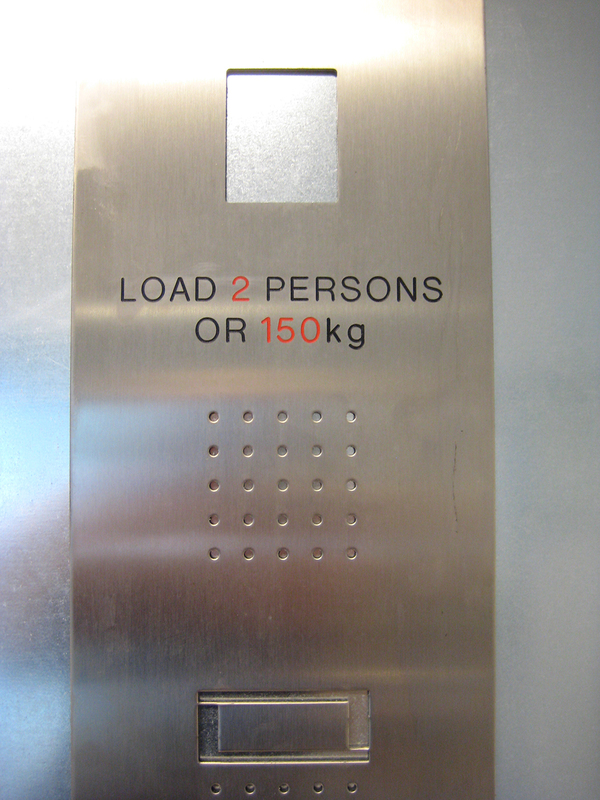 Supply stainless steel and specialist metal parts to the Lift industry. We work with stainless steel, aluminium, brass, copper and specialist patterned stainless steel materials. Along side the metal products we work with glass, plastics, timber, leather and other materials. We provide high end solutions to hotels and residential applications in specialist finishes with intricate details. We both work with our client on larger projects, but also have the capacity to be reactive to the needs of the on site installation and service engineers. In many cases same or next day service from an engineers sketch. Our workshop incorporates full in house manufacture of stainless steel and timber parts. Our CNC processes ensure quality and consistency. 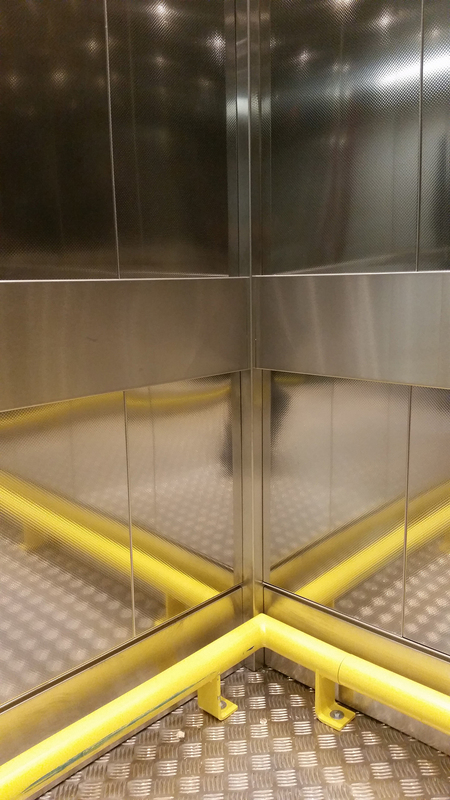 AVS create lift interiors in both traditional and modern materials with attention to detail in design, customer friendliness and ease of cleaning. 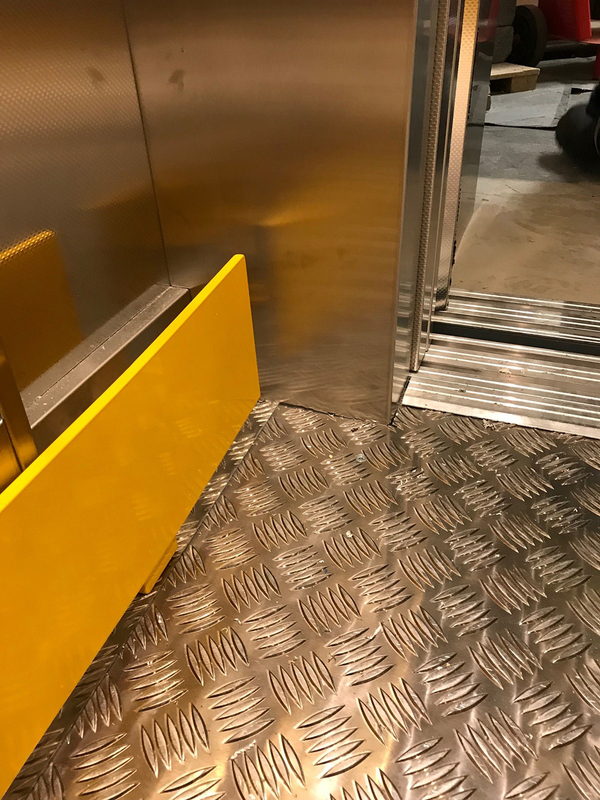 For goods lifts we work with the customer in considering the finishes and tailoring the protection to suit the usage, keeping the interior looking at its best. We work in high end hotel and residential lifts where specialist finishes of glass, wood and patinated metals are required. Attention to detail and interfaces between finishes is paramount. AVS offer a full survey, measuring and design service. We can provide visualisations and full CAD drawings for interiors to help the customer foresee their final product. 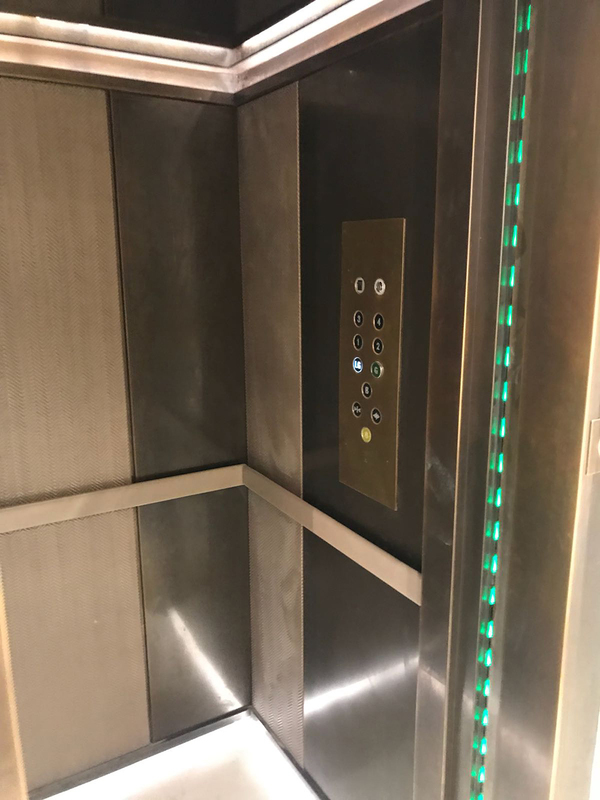 AVS and our lift partner worked with a client with a large estate of lifts to reduce their maintenance and running costs, improving their green footprint through a program of modernisation of interiors, ceilings and lighting . 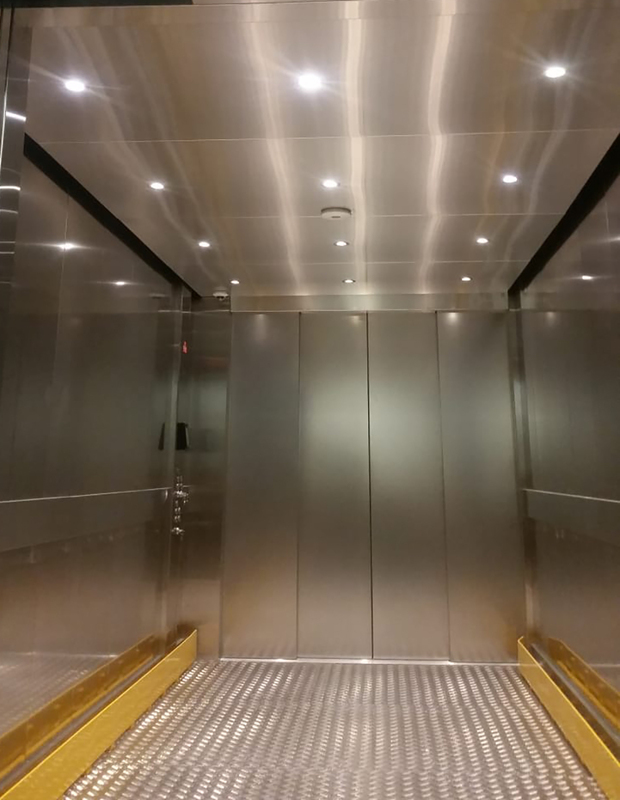 In some cars we have redesigned the interiors but principally the aim was to redesign the ceilings in stainless steel to allow the same solution to be fitted to a range of different size lifts, with new LED lighting to create an even coverage, lower running costs and easy maintenance.